We provide lessons for young people aged 8 and above. 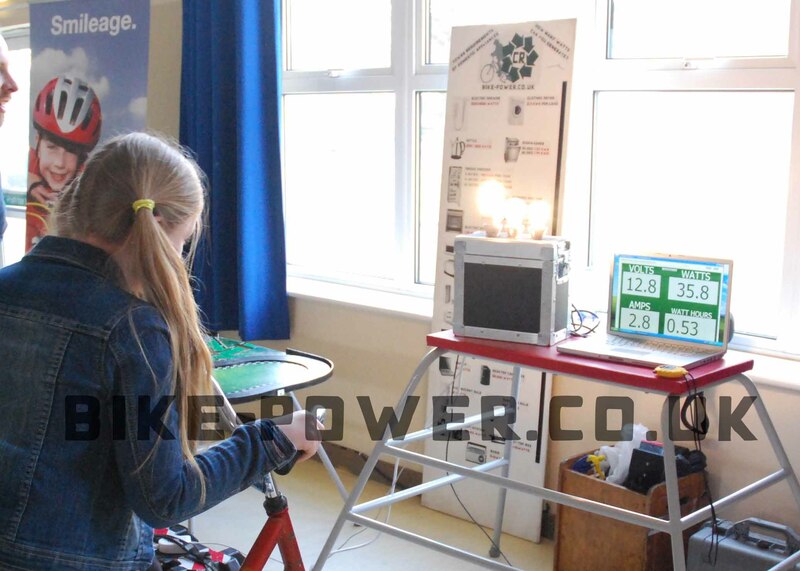 In these interactive sessions young people receive an introduction to electricity, where it comes from, and the problems associated with the current methods of generation. There is then an opportunity for them to have a go at generating their own electricity. We measure how many watts they can generate using software then show them which electrical appliances they would be able to power from their own effort. We then use that information to work out how many people would have to pedal to power appliances which use more power. This is a really fun activity which is popular with all ages. 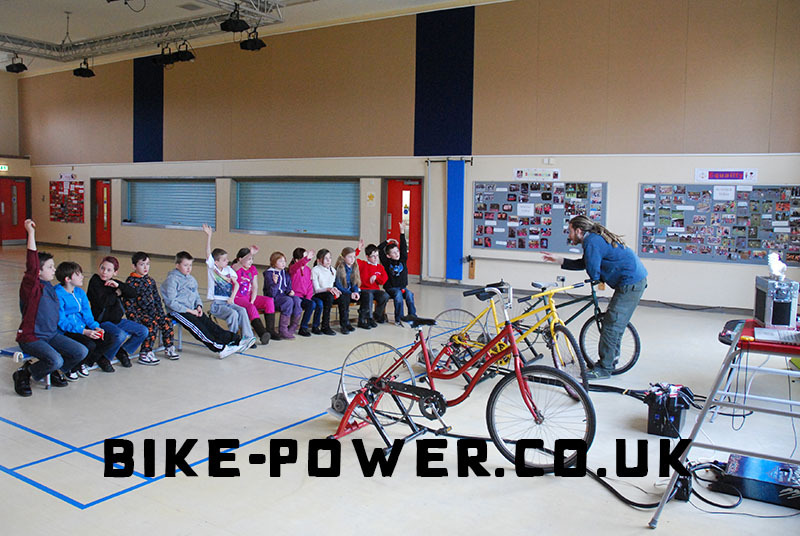 As keen cyclists we love to extol the virtues of cycling and the opportunity to gain a tangible understanding of the value of a Watt is something which will stick with the participants for a long time and in the future lead to more careful use of electricity. We also have been developing immediate pedal powered displays for younger children.